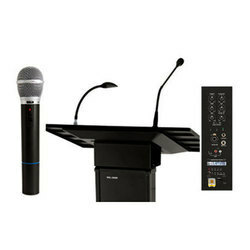 Providing you the best range of ahuja public address systems, bosch 1httxf5 microphone wired, bosch lbb-1990 voice alarm controller, pv02 plena voice alarm controller, lbb1956 plena voice alarm call station and lbb1949 gooseneck condenser microphone with effective & timely delivery. 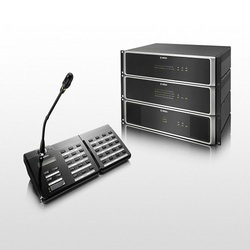 We are highly recongised in the field of offering Ahuja Public Address Systems to the clients. We have come up with unique and diverse range of these public address systems which offers one stop solution for music and paging. 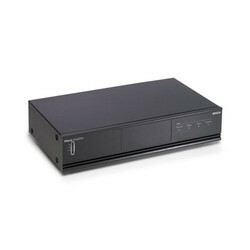 These systems are equipped with tuners and digital control. 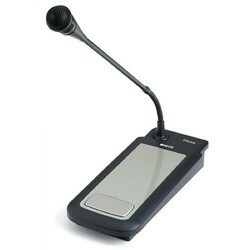 These Public Address Systems are perfect for conveying the desired message in an effective and prompt manner. 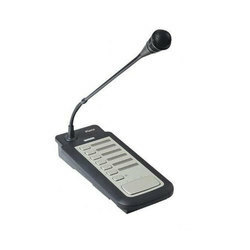 Our strong vendor base makes us capable of offering these Public Address Systems as per the specifications of our clients. 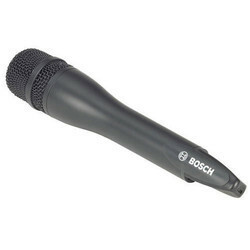 Our company is one of the leading traders of Bosch 1HTTXF5 Microphone Wired. These products are recognized in the industry due to top performance and long life service. This product is developed with high grade of technology that is procured from reliable retailer of market. This product is extensively used in the market to listen the music. In accordance with industry standards, we are engaged in trading Bosch LBB-1990 Voice Alarm Controller. Our products are made by our vendors using top quality raw material and advanced techniques. Moreover, after manufacturing, our quality experts check our system on several quality parameters to ensure their defect free delivery. 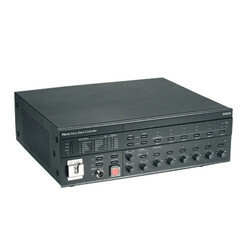 We are occupied in providing PV02 Plena Voice Alarm Controller. 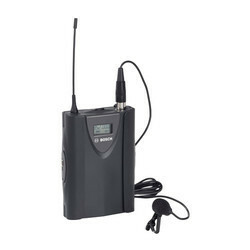 These products are used in commercial and residential places to listen to music. Our quality analysts test the quality of the system to ensure the performance and long service life. Our vendoes manufacturing unit assists us in meeting the large production. Owing to our large transportation facility, our firm is proficient to supply LBB1956 Plena Voice Alarm Call Station. Owing to its top performance, this system is highly accepted in the market. To meet the various necessities of our patrons, we supply these products in many specifications. 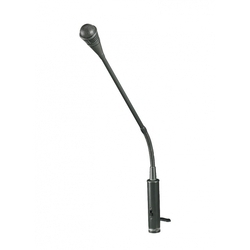 We are one of the leading suppliers of LBB1949 Gooseneck Condenser Microphone, which gives clear and fast music sound. These products are manufactured with high grade raw material and advanced technology that is acquired from reliable suppliers of industry. 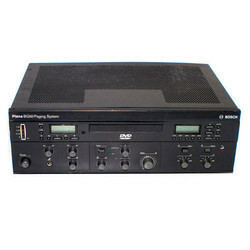 This product is widely used in the market to listen the music with high sound. Our products are highly praised in market due to user friendly nature. Owing to our proficiency in this field, our organization is occupied in supplying BGM02 BGM And Paging Systems. These products are prepared with highly developed technology and top quality raw material that is acquired from reliable suppliers of industry. Our vendors manufacture these systems in compliance with worldwide standards. Moreover, our team of quality analysts tests this product at each stage to keep industry standards. We have carved a best position for ourselves by supplying and trading a superior quality range of LBB-1950/10 Tabletop Unidirectional Condenser Microphone to our valued customers. These offered products are exceedingly recognized among our customers for their fine finish and reliable performance. Along with this, these products are available in the industry in many specifications as per the requirements of our customers. 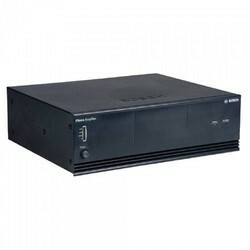 We are enlisted amongst the reliable firms in the market for trading a high quality range of PS01 Plena Audio Amplifiers which is widely used in the industry. These products are highly applauded in the market for reasonable prices and reliable performance. We deliver these products to our customers within the promised time period. Moreover, the whole range is tested by the quality experts on dissimilar parameters. Backed by a team of skilled and hard working professionals, we are occupied in providing a perfect quality range of PSA01 Plena System Pre Amplifiers. The provided product is manufactured utilizing the finest quality raw material and progressive technology in conformity with the set industry norms at our vendors’ well-resourced manufacturing unit. These are checked on varied parameters to make sure their flawlessness by our skilled quality checkers.